Ready to dive into the mind of a hallucinating obsessive compulsive artist? 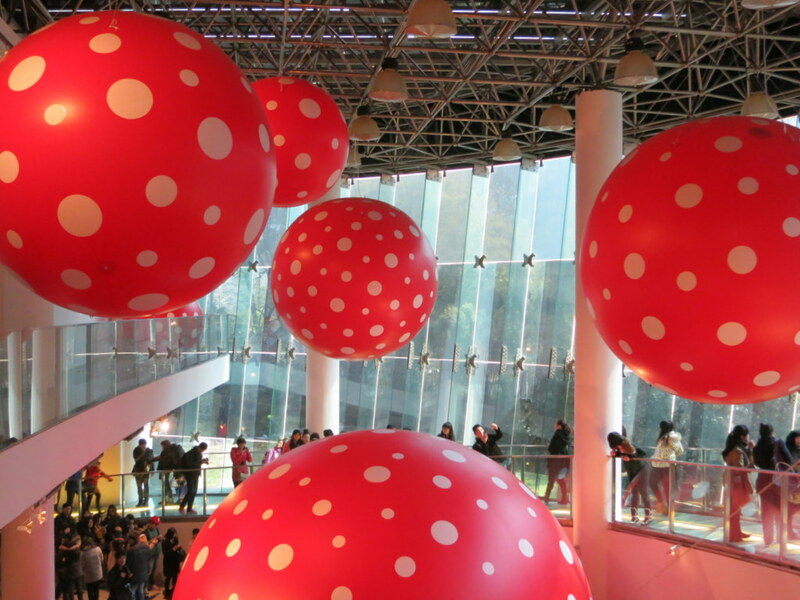 Head over the the MoCA Shanghai for the current exhibit “A Dream I Dreamed” showcasing pieces by Japanese artist Kusama Yayoi. You’ll have a chance to ponder the meaning of art, get lost in an expanse, or even join in the fun (by adding your own dot to the Obliteration Room). 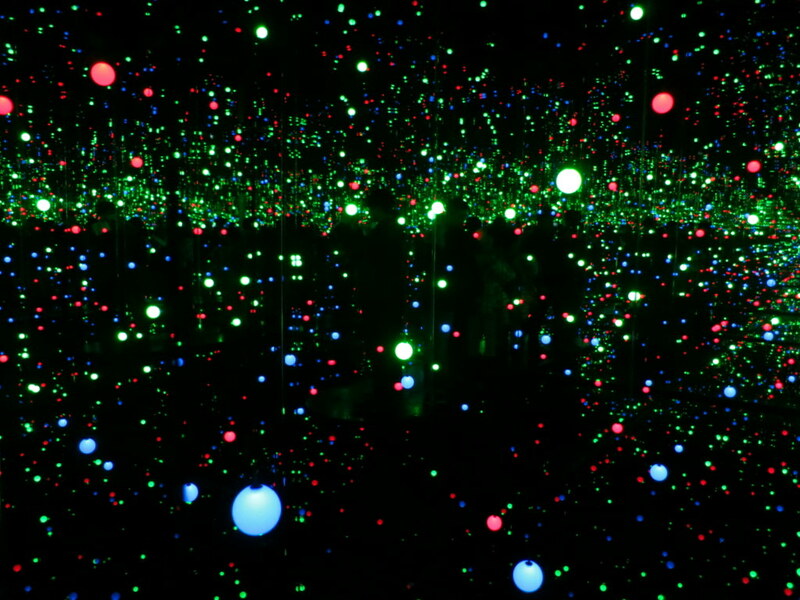 Kusama’s art and installation pieces will amaze you. Her canvas work is proof of not only her OCD, but also of her patience and persistence (maybe this also is part of the OCD). Imagine filling a canvas with scalloped strokes like the ones below! Dots created out of the negative space (the canvas is pink, the painted part is green)! Unfortunately due to the massive number of people trying to see this exhibit every day, we only had 15 seconds to ponder infinity—not nearly long enough by my standards! Enclosed in a room of mirrors, suspended balls of light dim and fade, changing color in the process. This exhibit is definitely worth a visit! But be warned, the showings’ popularity has exploded—meaning long lines to get in (I’ve heard up to two hours! We showed up 10 minutes after the museum opened on Sunday and there was already an hour long line) and of course lots of people clamoring to view and photograph each piece even once you’re in. 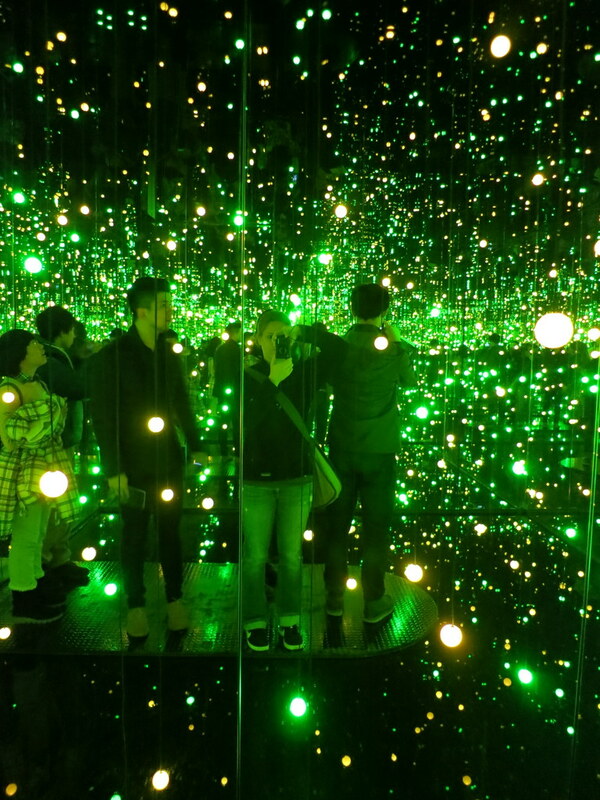 While Kusama’s art makes you want to just stand quietly and soak it all in, the other hundred people waiting to take a peak certainly won’t give you any time to allow that to happen! Don’t let this scare you away, I still thoroughly enjoyed my time at the exhibit, but going in with the right mind-set is key. Be sure to pick up the guide book—and read it! 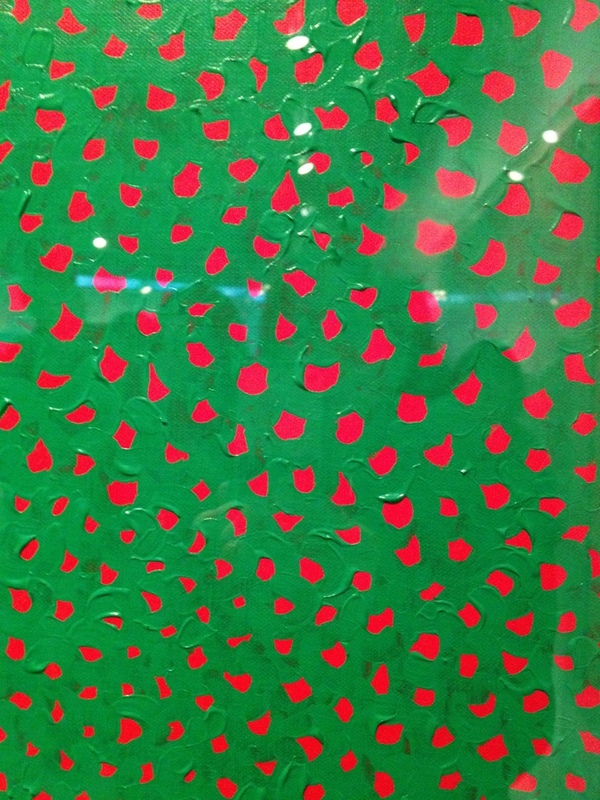 Each painting or installation has a great description that helps to give a small peak into the mind of Kusama. 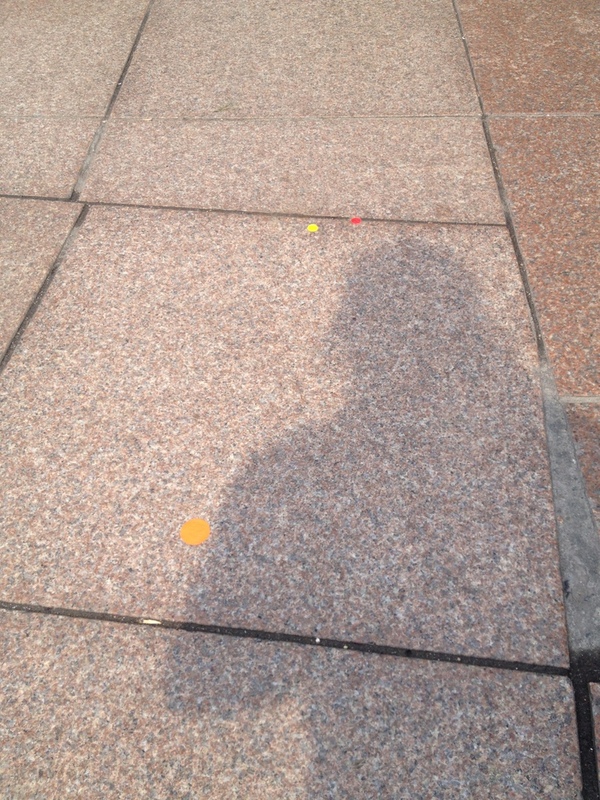 As enthralling as the exhibit was, after almost two hours my friend and I were ready to escape just like these dots!